“If you’re in the pharma industry,” said Michael Rutherford, Syneos Health, “it’s one of the best organizations to be engaged with. Watch the video to hear more from members on how an ISPE membership will benefit you. Produced by pharmaceutical manufacturing industry professionals, ISPE Guidance Documents, training and conferences provide practical, real world information to utilize best practices to exceed regulatory standards. 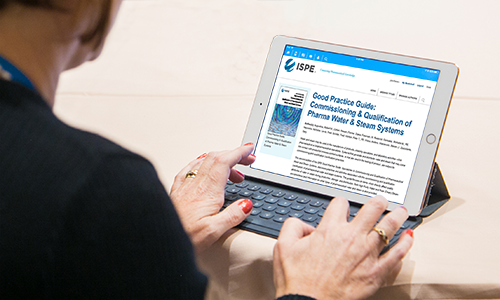 As a member, you’ll have FREE online access to the Guidance Document Portal which includes a library of select ISPE Good Practice Guides. As a member, you will join more than 18,000 of your professional peers from more than 90 countries in advancing the solutions that lead to improved patient health. Connect locally with your Affiliate or Chapter, join a Community of Practice for answers to your most pressing questions, and utilize the Member Directory to find contacts in your backyard or globally. Available online 24/7, ISPE has you covered with all of the technical knowledge and tools you need to accomplish any challenges you may face. With your membership, you have access to technical how-to articles in Pharmaceutical Engineering® magazine, concept and discussion papers, guidance documents, regulatory resources, and more. with the largest not-for-profit association in the pharmaceutical industry. Share the benefits of ISPE with your peers. For every friend you refer who joins ISPE, you'll earn one free month of membership.